Cosmetic dentistry can subtly repair a damaged tooth or overhaul your smile. However, the best cosmetic dentistry procedure for you may get lost in the shuffle of all the treatments available at your dentist’s office. Luckily, you and your dentist can work together to ensure that you find the best cosmetic treatments for you. Find out more about cosmetic dentistry and its benefits with Dr. Laura Koch, Dr. Andrew Soulimiotis, and Dr. Sunny Patel at Dentistry for Midtown in Midtown, GA. Cosmetic dentistry focuses on making your smile beautiful more than improving the functionality of your teeth. Many of these procedures often also fall under the restorative dentistry umbrella. Crowns and Bridges: Crowns help protect a damaged or decayed tooth while bridges replace a missing tooth above the gum line. These restorations are made from porcelain and blend into your natural smile. Dental Implants: Dental implants replace a missing tooth and its root both above and below the gum line. Implants are a permanent tooth replacement option and remain anchored into the mouth. Porcelain Veneers: Porcelain veneers cover a tooth to mask its appearance. A dental laboratory customizes the veneer and your dentist bonds it permanently onto your tooth. Orthodontic Treatments: Orthodontics use braces to straighten the teeth and correct bite issues. Orthodontic devices range from traditional metal braces to clear plastic aligner trays. Your dentist can help you make the best decision for you. Bonding: Dental bonding repairs slightly damaged teeth such as those with chips or small cracks. Bonding can also renew the appearance of a stained or yellowed tooth. Teeth Whitening: Teeth whitening is a fast, efficient procedure that provides obvious, even dramatic results in just an hour-long session. Your dentist can change the intensity of the treatment to cater to your wishes. For more information on cosmetic dentistry, please contact Dr. Laura Koch, Dr. Andrew Soulimiotis, and Dr. Sunny Patel at Dentistry for Midtown in Midtown, GA. Call (404) 249-1716 to schedule your consultation with your dentist today! Chronic stress is like a tea kettle on the boil—all that “steam” has to go somewhere. We often do this through behaviors like biting our nails, binging on comfort food—or grinding our teeth. That latter habit, however, could have a detrimental effect on teeth, including excessive enamel wear or even fractures. 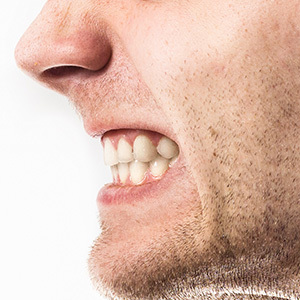 Also known as bruxism, teeth grinding is the forceful and often involuntary contacting of teeth that often generates abnormally high chewing forces. While not considered a relatively big problem with young children, it can be if you’re an adult. While there could be other causes, chronic stress is often a prime factor for adults with bruxism. While teeth grinding can occur during the day when you’re awake, it often occurs at night during sleep and may be associated with other sleep disorders like snoring. Although you might not be consciously aware of a grinding episode as it happens, you may notice its effects the next morning, including sore jaws or headaches. Over time, your dentist may begin noticing its effects on your teeth. So, how can you lessen teeth grinding? For starters, if you’re a tobacco user, quit the habit. Many studies indicate tobacco users report twice the incidence of teeth grinding as non-users. Excessive caffeine, alcohol or drug use can also contribute. People have also found it helpful to address chronic stress through a number of relaxation techniques like meditation, more relaxing bedtime preparation, bio-feedback or therapy to “de-stress.” Although there’s not a lot of empirical evidence for these techniques’ effectiveness, there’s much anecdotal data from people who’ve found stress relief from them. You and your dentist can explore the options to find the right treatment strategy for you. By taking action now, you may avoid much more extensive—and expensive—problems with your teeth down the road. If you’ve lost some teeth you may eventually want to replace them with dental implants. Implants by far are the restoration of choice due to their life-likeness and durability. But those advantages don’t come cheaply — implants can be expensive especially for multiple teeth. If you’re forced to wait financially for implants, you still have other intermediary options like a removable partial denture (RPD). The conventional RPD has a rigid acrylic base colored to resemble gum tissue supported by a metal frame with attached prosthetic (false) teeth at the missing teeth locations. They’re held secure in the mouth through metal clasps that fit over the remaining teeth. But these conventional RPDs can sometimes be uncomfortable to wear and don’t always cover the bottom of the gum completely. If this is a concern, you might consider an alternative: flexible RPDs. The base of this RPD is made of a form of flexible nylon rather than acrylic plastic. They’re much more lightweight but still fit securely in the mouth with thin plastic extensions rather than metal clasps. 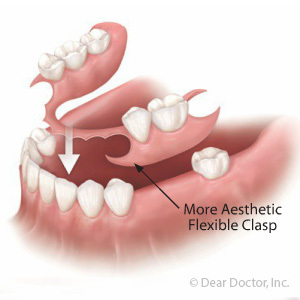 The base can also be more easily formed to cover areas where gum tissue may have receded. While flexible RPDs hold up better to wear and tear than their conventional counterparts, they must still be maintained like any other appliance. They can accumulate plaque (bacterial biofilm) responsible for tooth decay and periodontal (gum) disease, so daily thorough cleaning is a must. And if there fit becomes loose they can be more difficult to reline or repair than other types of dentures. They also share a common weakness with other dentures — they can’t prevent and may even stimulate bone loss. As bone ages, old cells dissolve and new ones form to take their place. As we eat and chew our teeth transmit the forces generated through the teeth to the bone to stimulate it to grow. RPDs and other dentures can’t transmit this stimulus, so the bone replaces much slower to the point that the bone volume can diminish. That’s why it’s best to consider any RPD as a temporary solution until you can obtain an implant for a more permanent and bone-friendly option. In the meantime, though, an RPD can provide you with a great solution for both form and function for missing teeth. Which Type of Braces Is Right for You? Air Abrasion or the Dental Drill? What Is Dental Reshaping And Bonding? 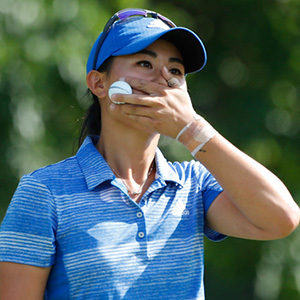 If Only I'd Worn A Mouthguard! David Ramsey: "Don't Forget to Floss!"